Dave's Supermarkets was founded in the late 1920's when Alex Saltzman, the first of five generations of grocers, hung up reins in his horse drawn produce wagon and opened the first corner family store at 33rd and Payne Avenue in Cleveland. The store was named for Alex's son, Dave who succeeded his father in the business. Following in Dave's footstep was his son Burton who recognized that the store needed to address the growing needs of their customers. 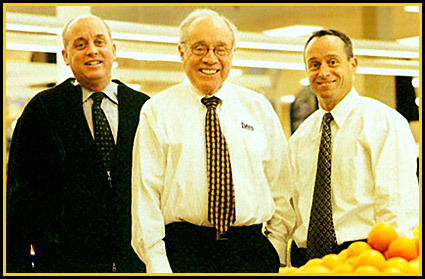 Over the years, Burton along with his two sons, Dan and Steve Saltzman, have expanded upon the company's original vision and continue to grow the chain. 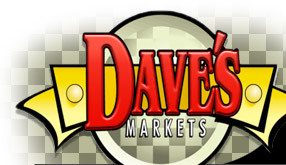 Dave's is the only retail food store to invest significantly in Cleveland in recent years. New and exciting developments at Dave's included the acquisition of four new locations in 2007 as well as the launch of Dave's Mercado at the Ridge Road location. The Mercado provides the largest selection of hispanic foods in the Cleveland area. The Saltzman Family is proud to have stores serving 13 local neighborhoods.